Disclaimer: This is not a sponsored advertisement. I am just a VERY satisfied customer and I’d like to share that satisfaction with you. So what is this tent I’m using? It’s from The North Face called the STORMBREAK 2. (check it here). In just less than 5 minutes, I can set up this tent. And I can do that alone. This is great for you loners. Don’t worry, I’m one of you (huhu). 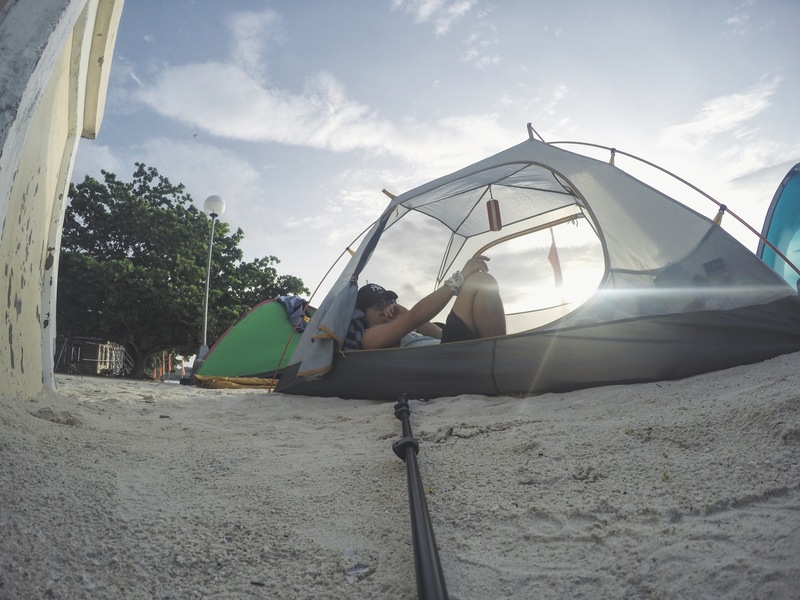 The good thing about this tent is that you don’t need to insert the poles of the tent inside the loopholes in which most tent design usually features. The Stormbreak 2 lets you hook the main tent fabric onto the poles. It is easier that way. WAY EASY. And I think most damages from the tents start from this part of the tents. I’m so glad The North Face found a new and innovative way of prolonging the life spans of their tents. Okay, I know most tents has this feature. Of course, you need the inside of the tent to stay dry. But what most tents missed out is that not at all times there is a bad weather. 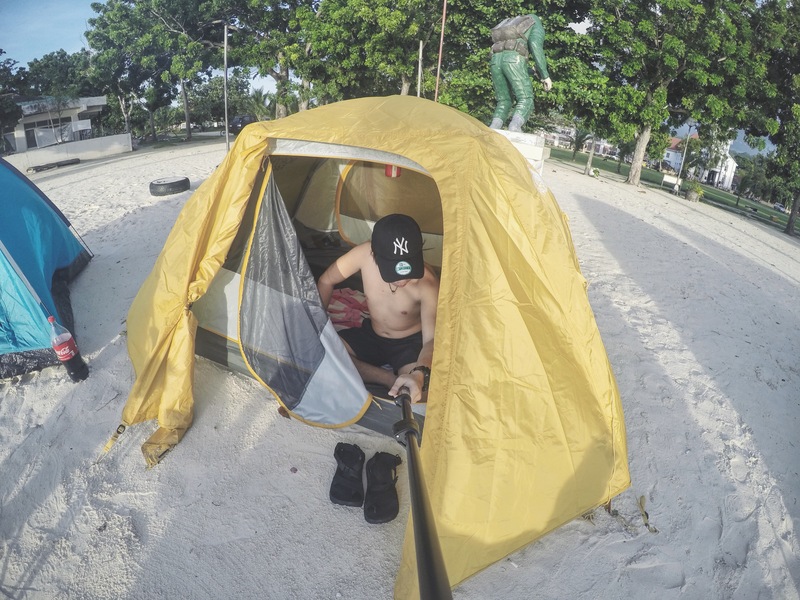 The usual complaints, especially here in the tropical country like the Philippines, is that most tents tend to be hot for comfort. The StormBreak 2 has made a way to solve this problem. The main tent is made of a see-through mesh fabric. It lets the air pass in and out of your tent. The downside is that you can’t do naughty things inside because duh – IT IS SEE-THROUGH (haha). SO WHAT IF IT RAINS? Or you need some naughty time? Don’t worry you, The Stormbreak 2 has a second coat in which you can cover up your tents. It acts as a raincoat for your tent. It’s easy to set-up. In less than a minute, your second coat is in position. What I have discovered about my tent is that even if you place the second coat, the inside is still comfortable. It is not suffocating. So even under the heavy rain and gusting winds, you’re in a very safe environment. Another problem most tents I’ve used before is that they don’t really have space inside. The thing about this tent is that there is an ample space inside for two people. If you’d like something bigger, The North Face has other tents that are bigger than what I bought. I just bought the small one since most of my travel buddies are couples. So usually I’m alone in another tent (sad right? huhu). Another thing I like about The Stormbreak 2 is that there are different nooks and pockets on the sides and above the tent where you could place your valuables or a flashlight above. Nifty right? The brand itself denotes quality and durability. IT IS THE NORTH FACE. The name just sheds quality in everything they sell. But brand aside, different materials were used for this tent. The most noticeable are the poles. They used aluminum-like (not really sure) metal for the poles. There is really quite a distinction between your average tent with the Stormbreak 2. This I can attest to. I’ve seen how windproof the Stormbreak 2 is. The name didn’t disappoint. I’ve used the Stormbreak 2 during a storm. It was my fault anyway since I DIDN’T FREAKIN’ CHECKED THE WEATHER FORECAST. (Check my story here.) But one thing I was glad, even though I was camping in a storm, I was safe inside my tent. The Stormbreak 2 pack weigh around 5 lbs. That is equivalent to more or less 2.60 Kg. It is heavier compared to most tents especially that it only fits a sleeping capacity for two. Okay, I think this is the major drawback for the item. If you buy this tent directly from The North Face’s website, it is currently priced at USD 159.00. (See current price here). That is Php 7723.50 as of writing this post. The last time I checked The North Face store at SM City Cebu, the Stormbreak 2 was priced at Php 15,000.00. I have also checked Amazon’s price. (see current price here) Currently, it is at USD 191.28 plus shipping fee of USD 4.49. That is Php 9507.46 as of writing this post. Anywhere you buy this bad boy, It will really be a hole up on your pocket. But after all, quality products really don’t come cheap. I am one happy AND satisfied customer. How about you guys? I’d like to know if you’re satisfied with your tents. If not, at least you have an idea on what to invest in the future. Ikaw na ang rich kid! Haha! Wohoo North Face is an awesome brand comes with a great price. But it’s worth it! Great choice, Rady! North facr is totally knownbfor their great quality.although it comes off with a great price too. Haha! Love your tent! Ours is a local brand but it works great, too. It’s just around 6K and good for 2 people (but all three of us can fit inside) but just as heavy as this one. Too bad, I’d have considered this one. We are looking to upgrade into a lighter tent although that would mean a heavier price tag. Haha! Scream, with great power comes with great responsibility as well as with great and durable products comes with a shocking price. 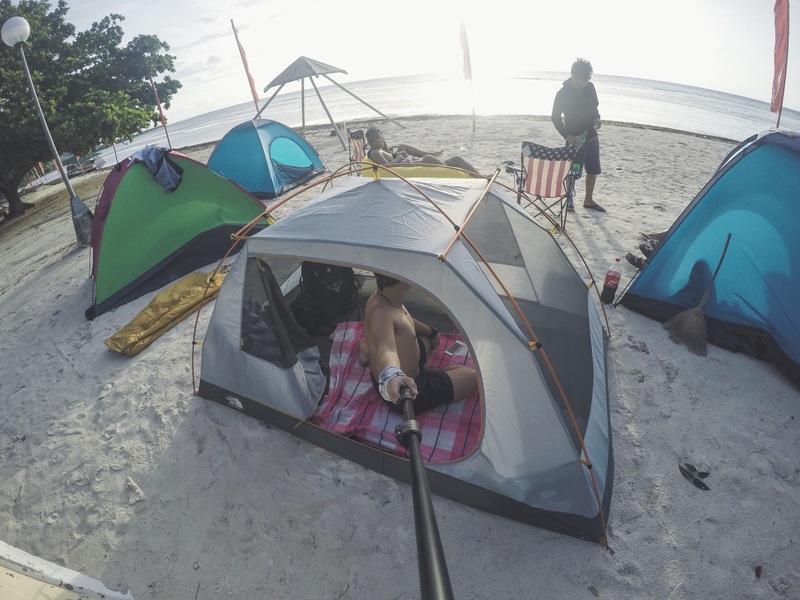 Hahaha, I can’t afford this Rad, but I guess the tent is really that durable and a good quality product. I’ll be happy to own this tent in the future. Magtigom sa ko para ani hehehe. Be careful in handling your expensive tent as it really needs caution when cleaning / washing it. My bad, I let someone borrow my tent and the borrower washed it incorrectly. And oh, are your tent poles aluminum ? You might as well not let your poles soaked in saltwater as it can corrode it and make it brittle. THANK YOU FOR REMINDING ME. Hoooh. 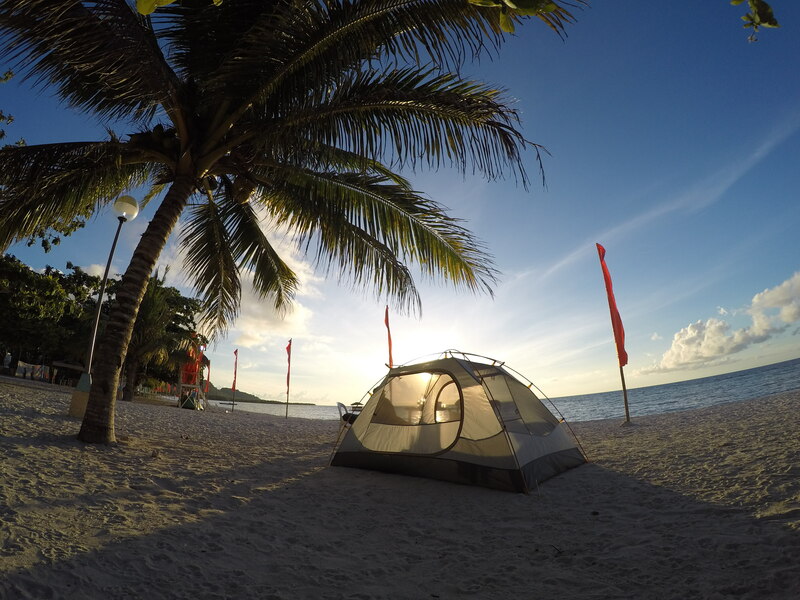 Most of camp outs are by the beach. And yes, my poles and hooks are aluminum. Is there something special I should do after using it other than washing it? 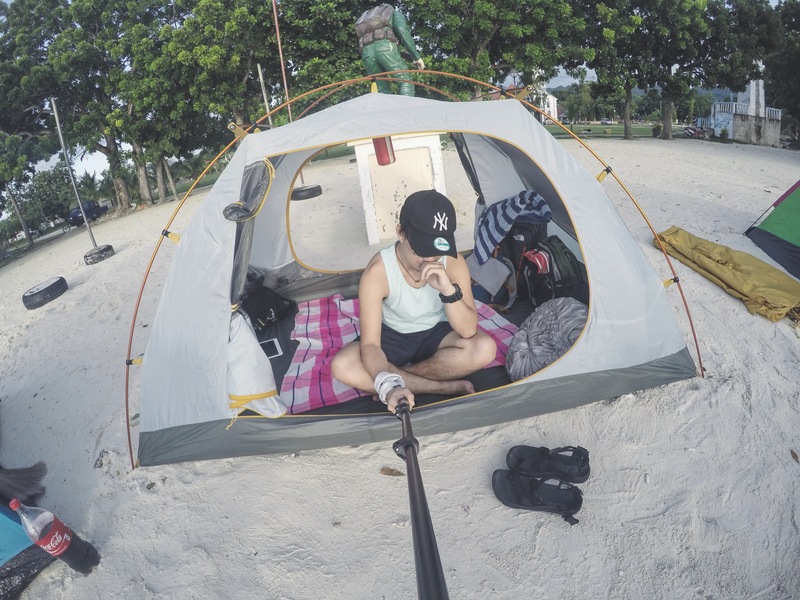 Your tent looks amazing and comfortable, but yeah, bug-at lan jud na ang Stormbreaker. But if one doesn’t mind carrying a heavy load, it’s totally worth it baya jud. Buying high-quality stuff usually comes at a price and others tend to see it as being rich. Sometimes it’s better to buy an expensive thing that lasts for a long time compared to a cheap one but breaks so easily. I totally agree with you Jullian. It’s like buying a new laptop. You’d want to buy a high-end one if you know you’re gonna need to use it a lot of times and you’d want something of high performance to do justice on what you’re doing. I totally share the sentiment of going for it and investing in something that might be a bit pricey, but I’m certain is of great quality. Spending a bit more on something that will last me long is a way better option than the alternative. OKAY! Bahalag mahal basta worth it!!! I bet it’ll protect me from all forms of disaster! Bagyo, tornado, tsunami! Hahahah joke. 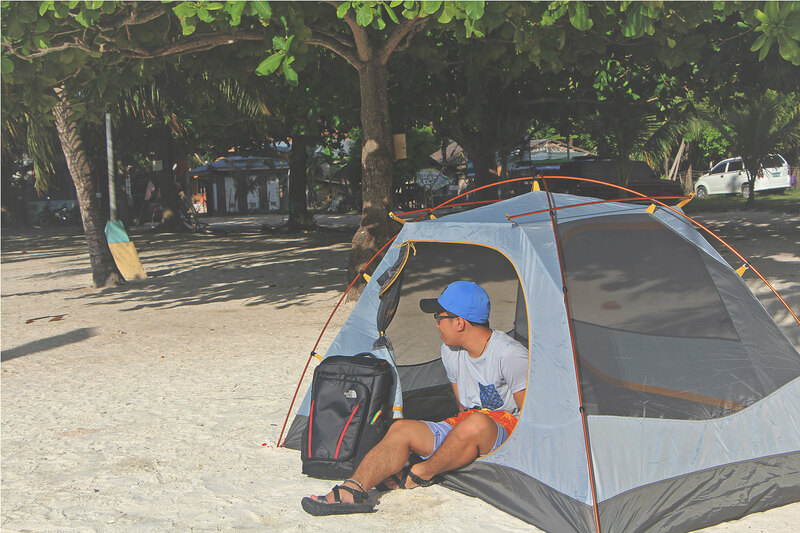 Bitaw, kidding aside, nindot jud mag invest ug quality tent specially for travel bloggers like you!!! Wow! Branded na branded! Well, I also use the same philosophy. I buy the best so that I wouldn’t have to buy often.